Byron Campbell's Website - Please note that this is a new website address for Byron's photos. Flying Scot North Americans Video, sent by Bruce Nicholson: "Linda and I were just rounding the weather mark well ahead of this guy when the wind shift caught us (30 secs into the film)and we hit the mark which also led to a foul and our worst race of the series, but it was a great run. 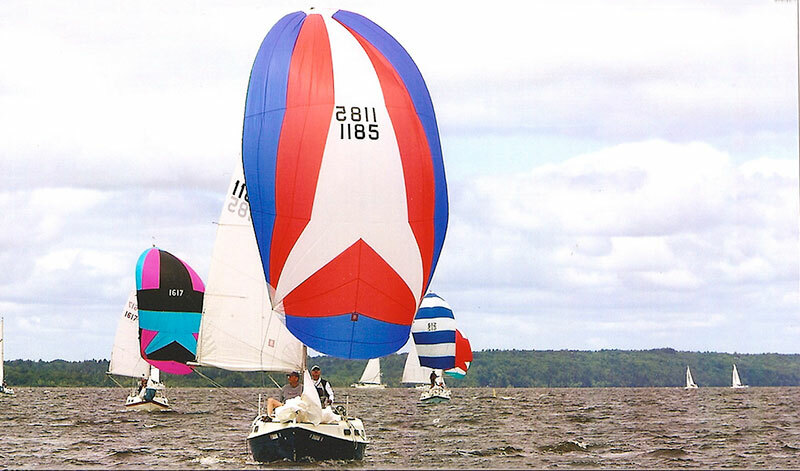 BTY, at the end, the boat with the blue and yellow spinnaker, the crew’s age is 85."